Asia has dozens of beautiful beaches that draw tourists from around the world. If you’re traveling along the coast of the continent, you’ll want to spend a day or two soaking up the sun and admiring the beautiful scenery. Here are five of the best beaches in Asia to visit. 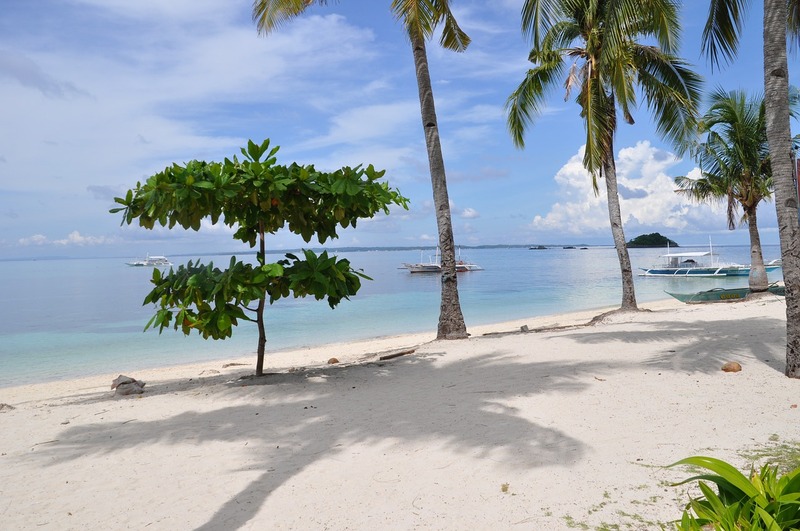 If you’re looking for a warm, holiday getaway, consider spending some time in Malay in the Philippines. Many people consider White Beach on the island of Boracay one of the most beautiful beaches in Asia. The white sand and beautiful blue water is home to many international resorts on the small island. The best time to visit White Beach is from December to May but since that is high season, try to book a room as early as possible. Okinawa is a popular destination for both Japanese and western tourists looking to find relaxation on its beautiful beaches. The weather is subtropical with an average temperature of 68 degrees Fahrenheit all year, and it rarely goes above 86 degrees F in the summer. Akajima, or Aka, is a ferry ride away from Tomari Port in Naha City on the main island of Okinawa. From there, the beach is about a 30-minute walk. Nishibama beach is a one kilometer stretch of white sand with clear water in which you can swim, snorkel, or explore the coral reef. This tiny island is in Myanmar’s Mergui Archipelago, which is a series of serene, unspoiled islands in the Andaman Sea. It is also the only island with a resort, although it is an eco-lodge that was carefully built to prevent spoiling the area. The beaches found in this region are pristine, quiet places for soaking up the sun, swimming or diving. To get to Macleod Island, you can take a shuttle boat from Kawthaung, Myanmar or a longtail boat from Ranong in the Philippines. Thailand is well-known for its beautiful scenery, especially its white sand beaches and unspoiled blue water. If you’re looking for a place to get some peace and quiet while laying in the sun, diving, or rock climbing, go to Talay-Wak Beach in Krabi. Krabi won’t be as crowded as Phuket, and there is plenty to do in the surrounding areas if you get restless. You can explore the caverns, go on an elephant trek or dirt-biking in Phanom Bencha National Park. To get tanning tips for your Krabi trip, check out BeachRated. Vietnam is becoming a popular vacation destination in Southeast Asia. As an island nation, it has several beautiful beaches from which to choose. Jungle Beach, which is about 60 kilometers north of Nha Trang in Ninh Phuoc Village, gives visitors a wide variety of activities to experience. The beach is not only a beautiful place to relax, but you can go swimming, snorkeling, surfing, or a join beach volleyball game. When you want a different type of adventure, try jungle trekking to see wild monkeys, eagles, and slow loris. Most of the countries in Asia are welcoming to western tourists as long as you are respectful of the culture and customs. Some of the best times to travel to these beach destinations are in the late spring when the weather is drier. Some of the countries may be hot and humid during that time, but if your goal is to hit the beaches for diving, surfing, or sunning, then it could be the perfect time of year to plan your vacation. This entry was posted in Asia, Travel on December 29, 2018 by Amélie.